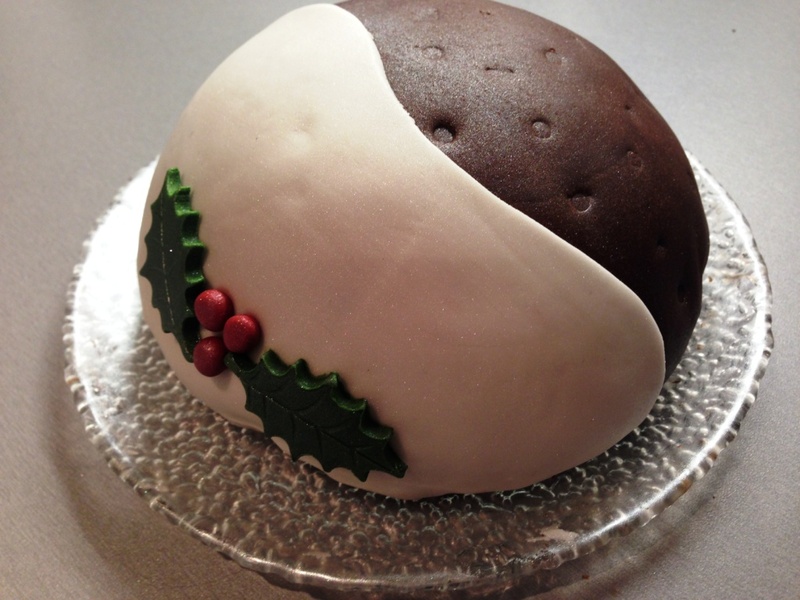 Festive tidings to you all baking readers! Hope your holiday season has been filled with tasty delights and treats. Now the big day is out the way (and my first Christmas dinner cooked with great success! 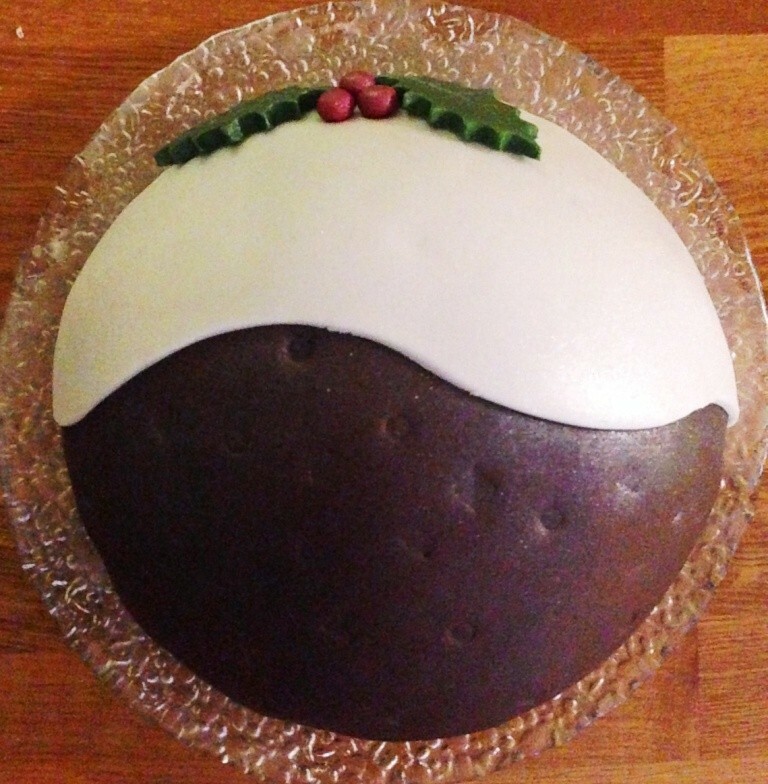 ), I’m enjoying some time off work hiding from the cold and catching up on uploading my Christmassy bakes to the blog. This cake was a dessert I made for a dinner with friends a week before Christmas. 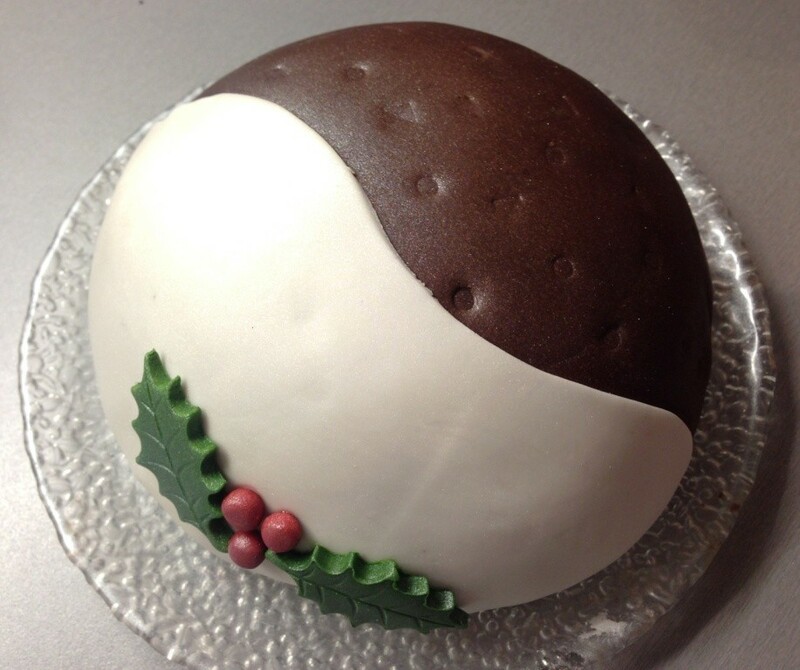 I personally am not a fan at all of traditional Christmas pudding, which is a little odd considering my unfailing for Christmas cake. Dessert on Christmas Day is normally mince pies for me, but for this dinner I wanted to make something purely indulgent that we’d all enjoy. The recipe is simple and crammed full of chocolate chips for an extra element of guilty pleasure. It was made using my Lakeland Hemisphere Mould (in medium), which you may recall helped me create a wonderful Halloween Pumpkin cake. 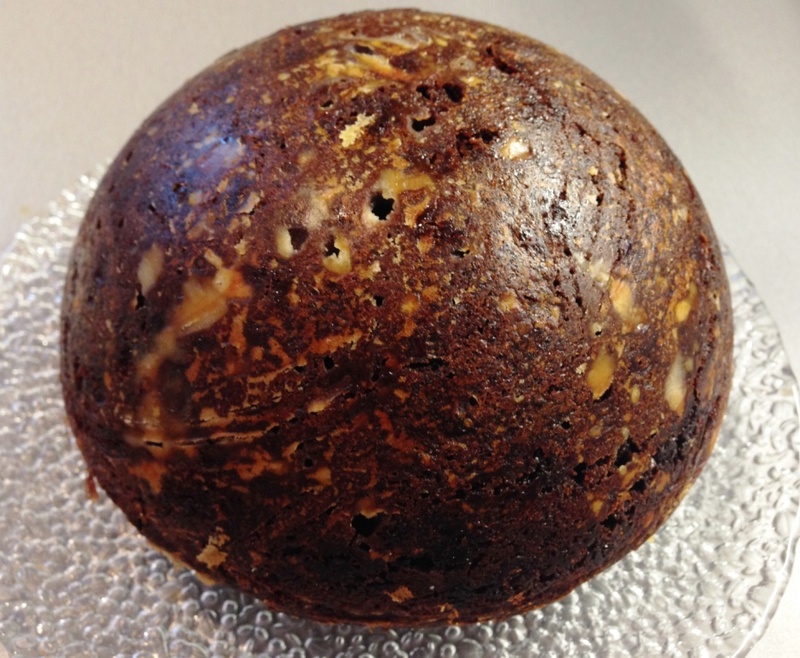 Although the mould looks quite deep, it actually only needs a 2 egg mix to rise up and fill the shape. 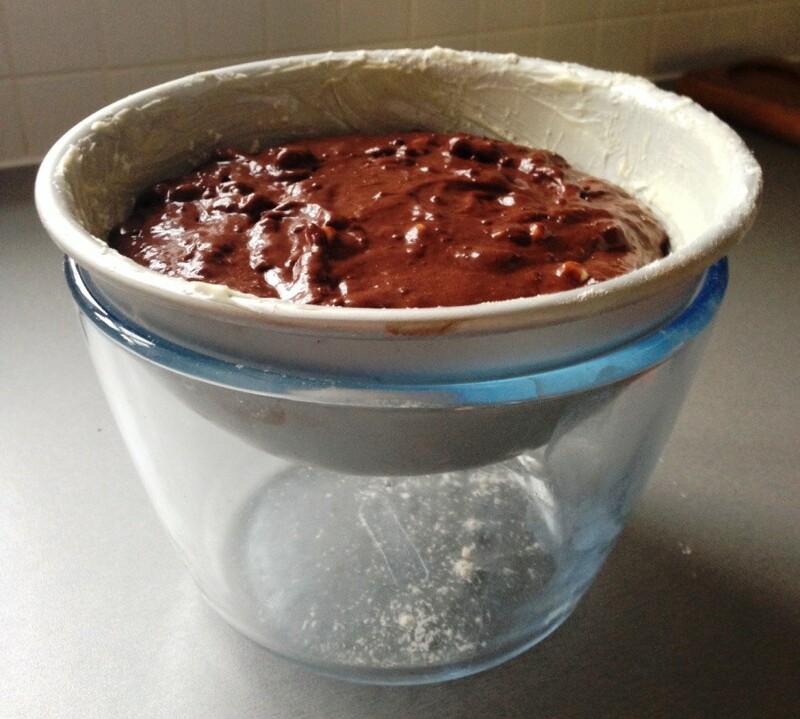 I adapted this Chocolate Madeira Cake recipe from the lovely Emma MT at Cakes, Bakes and Cookies to the quantity needed. I love how the chocolate chips had swirled together, and even without icing the cake had a brilliant Christmas Pudding effect. 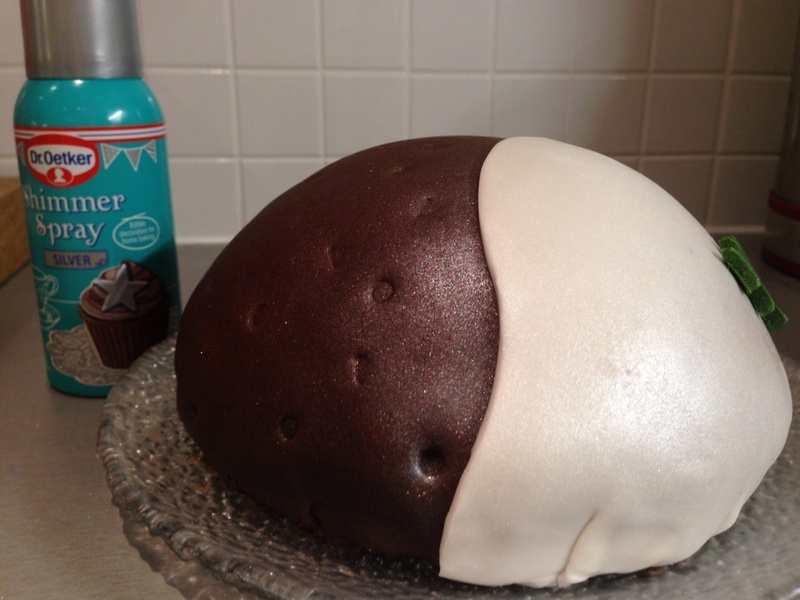 I added a little drop of Baileys to my buttercream for an extra glossy sheen and of course a bit of an adult taste! 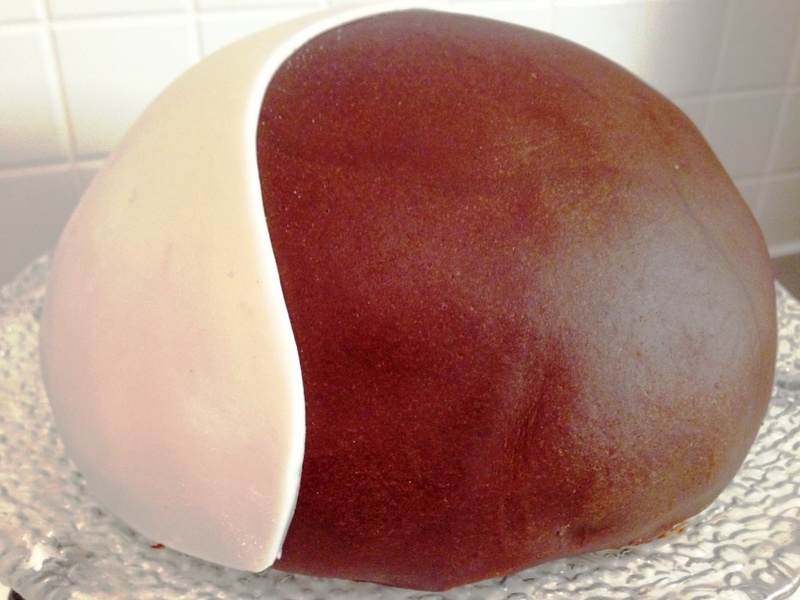 After half an hour in the fridge, I covered the cake with chocolate fondant (all over), before overlaying a wavy-edged section of white fondant. 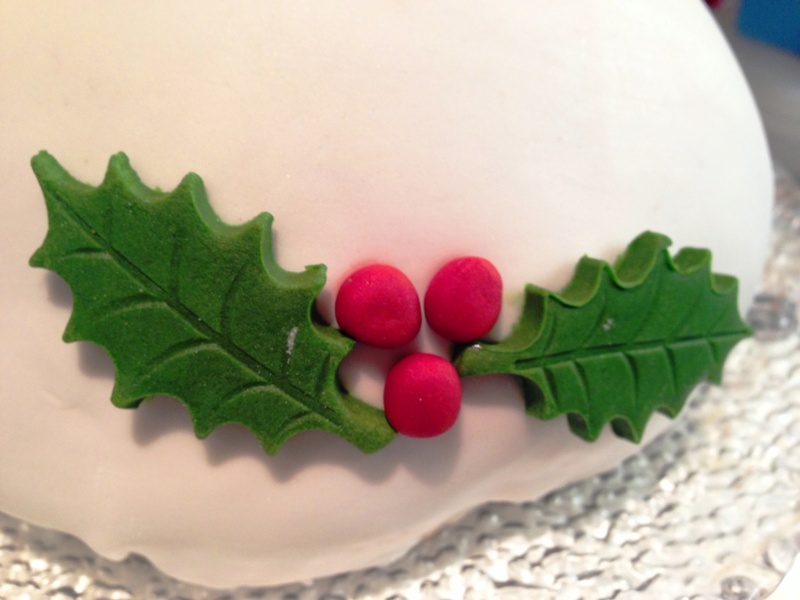 A little decoration was all that was needed to finish the pudding off – red fondant berries and green holly leaves made using a plunger cutter. And finally, after mottling the chocolate fondant with the end of a straw, I added a little festive sheen using some silver shimmer spray. 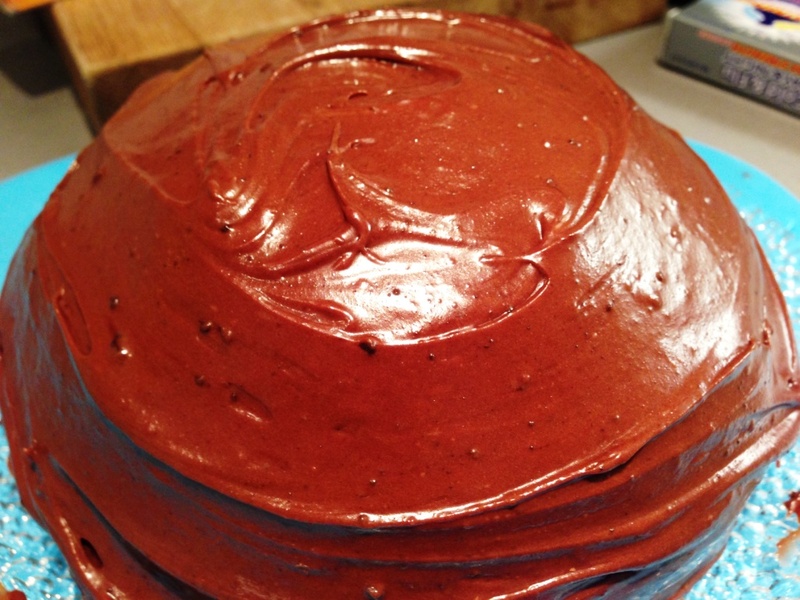 And cut into, it was of course chocolatey through and through, with a great smattering of chocolate chips and divinely creamy icing. 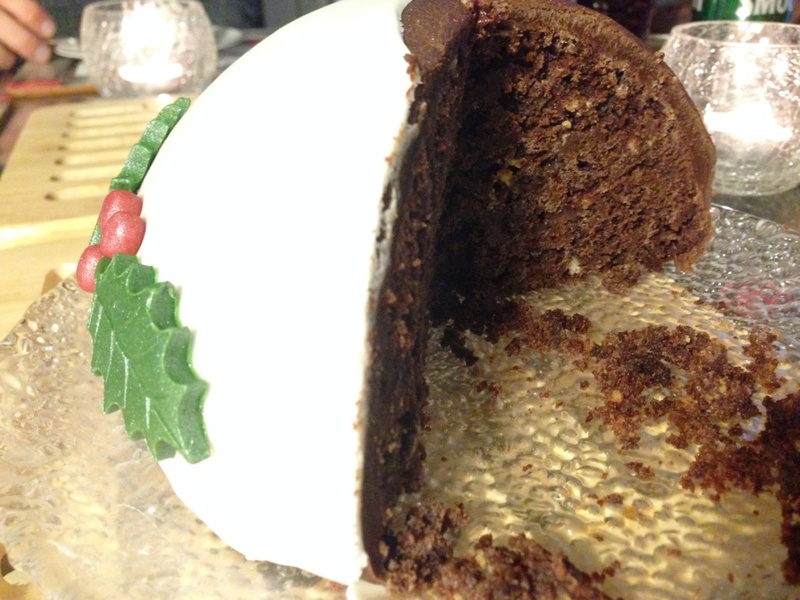 This entry was posted in Baking, Cakes, Theme / novelty cakes and tagged baking, chocolate, christmas, christmas pudding, ingredients, recipe by bakearama. Bookmark the permalink. Wow. What an amazing cake. I agree with all these comments. 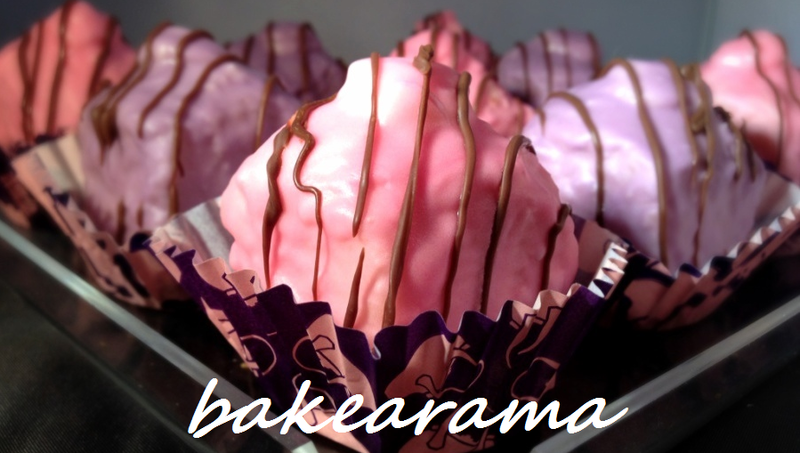 It’s too good to eat… but it does look mega tasty!